Emerald tree monitor lizard. Arboreal, dwelling in trees in New Guinea jungles where it hunts birds and small mammals. 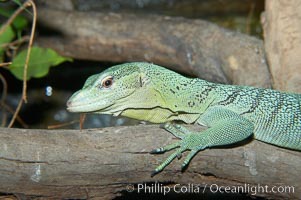 Emerald tree monitor lizard, Varanus prasinus prasinus Photo. Emerald tree monitor lizard. Arboreal, dwelling in trees in New Guinea jungles where it hunts birds and small mammals. 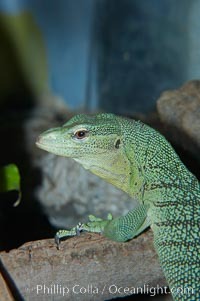 Emerald tree monitor lizard, Varanus prasinus prasinus Picture. Emerald tree monitor lizard. Arboreal, dwelling in trees in New Guinea jungles where it hunts birds and small mammals. 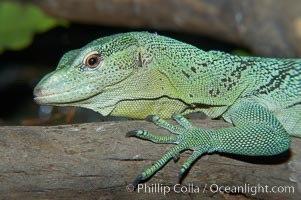 Stock Photography of Emerald tree monitor lizard, Varanus prasinus prasinus.